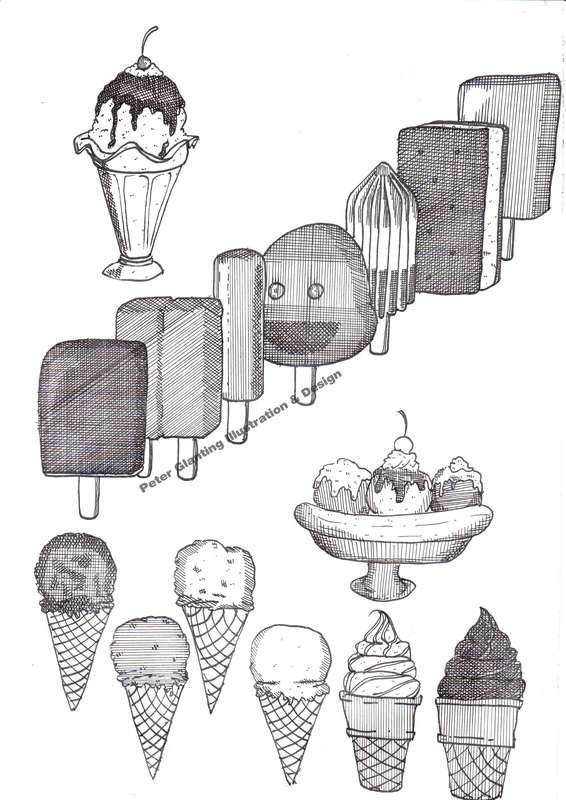 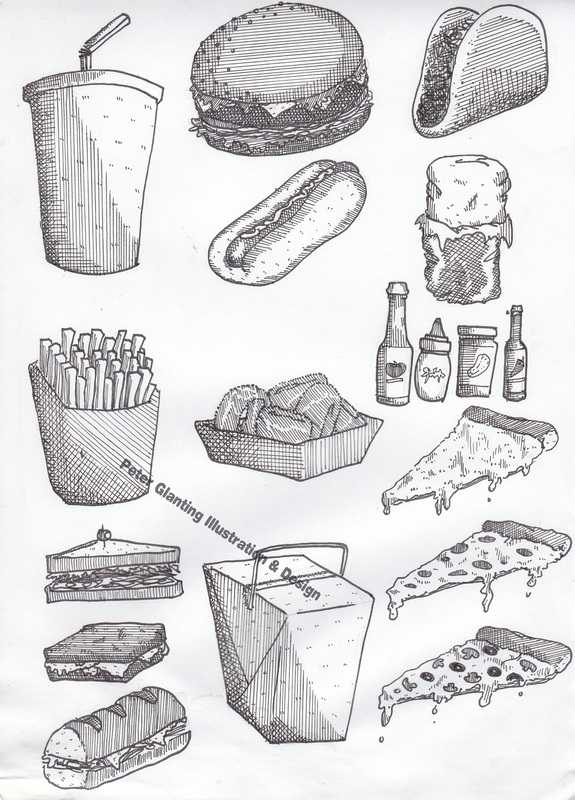 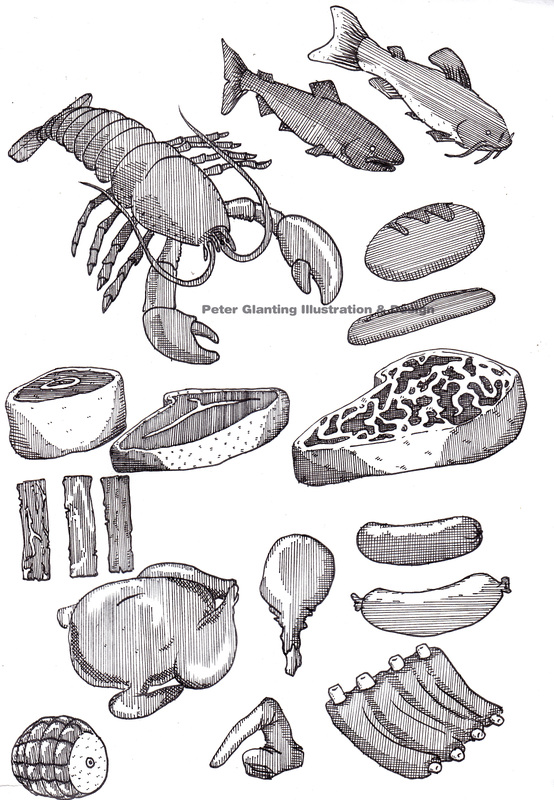 I just put up this print of Luscious Food in my Society 6 shop! 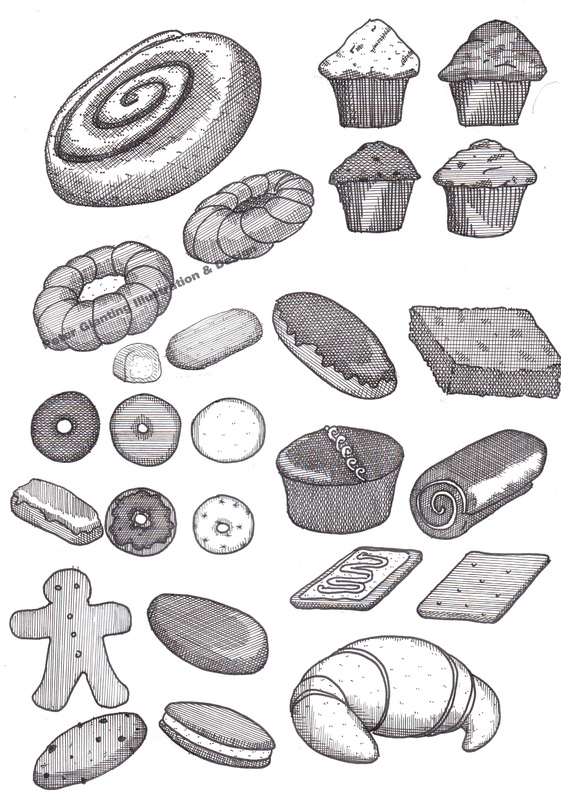 The idea or romance of some foods is sometimes better than the food itself. 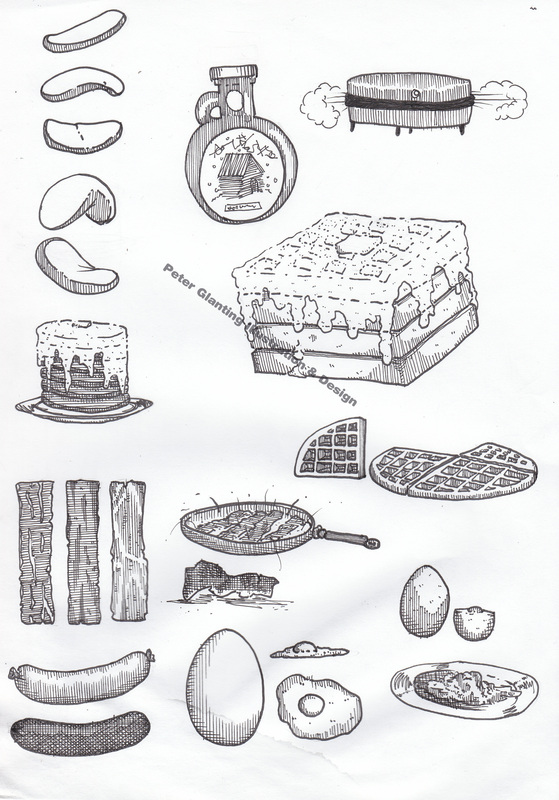 I remember seeing a cartoon dog eat spaghetti when I was a kid, and no spaghetti ever met my expectations. 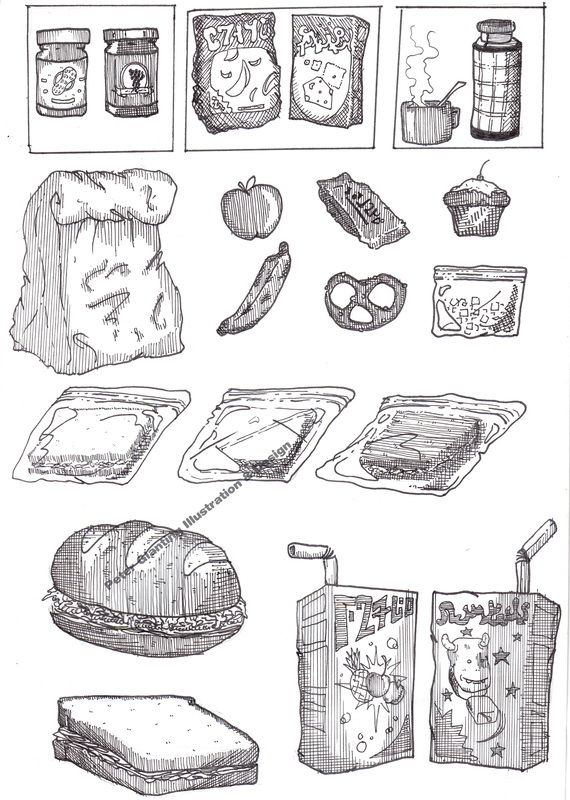 I think that’s the idea behind these food charts. 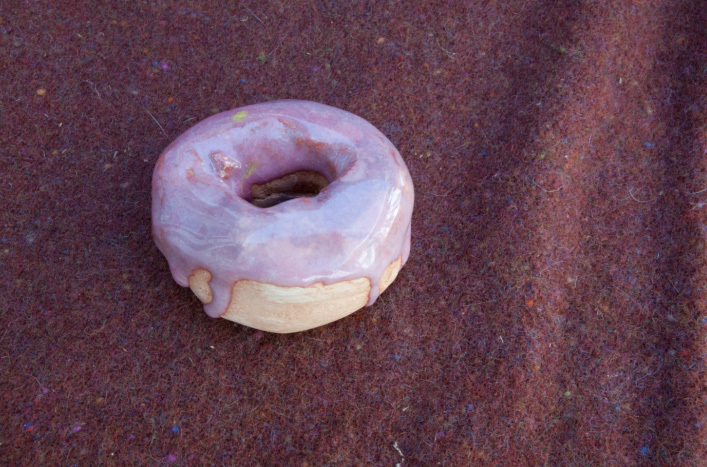 I made these ceramic donuts. 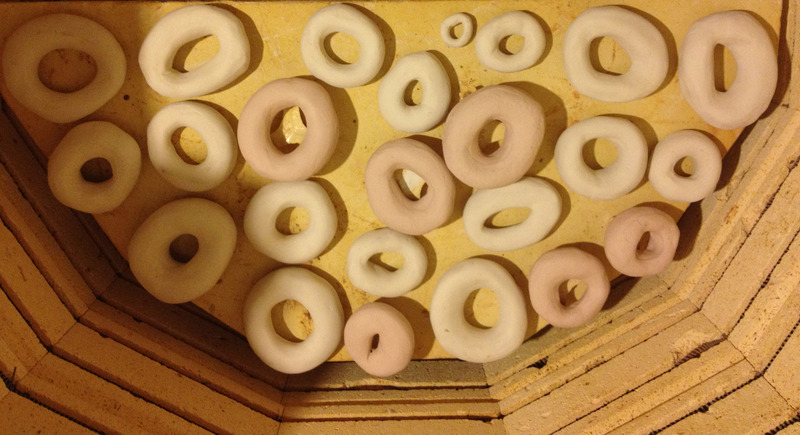 You can see them in my mom’s kiln in the photo below. 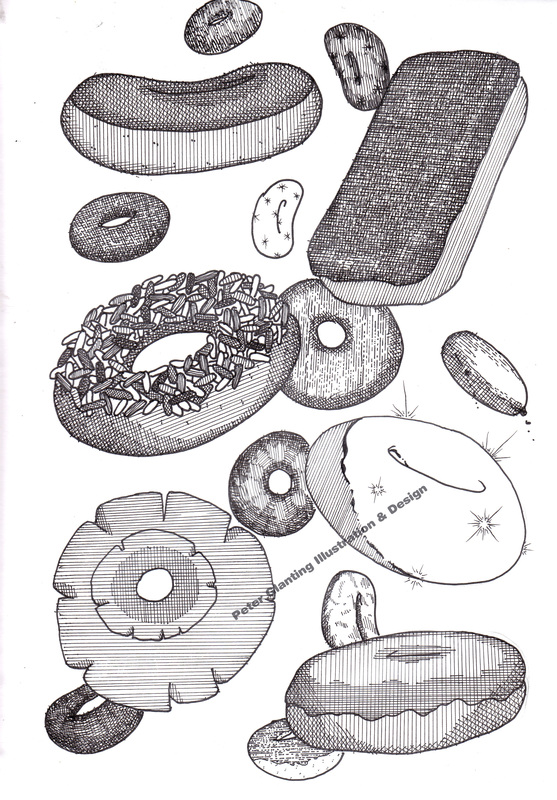 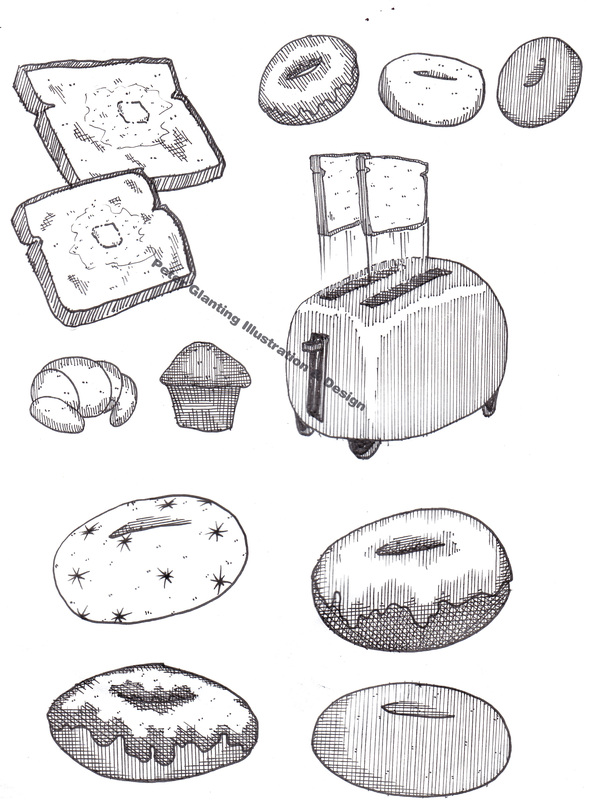 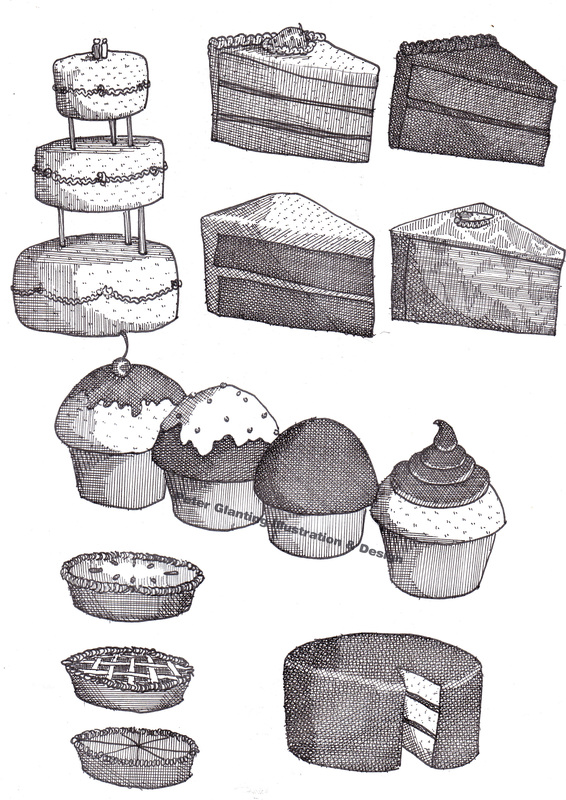 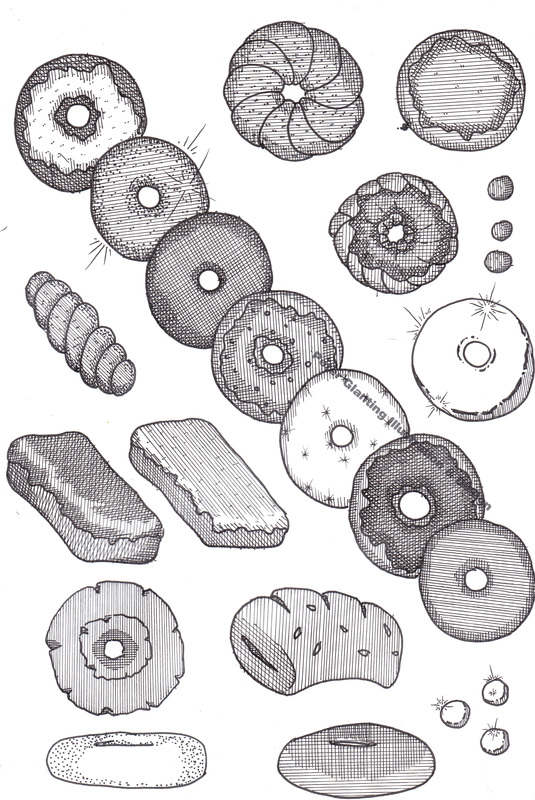 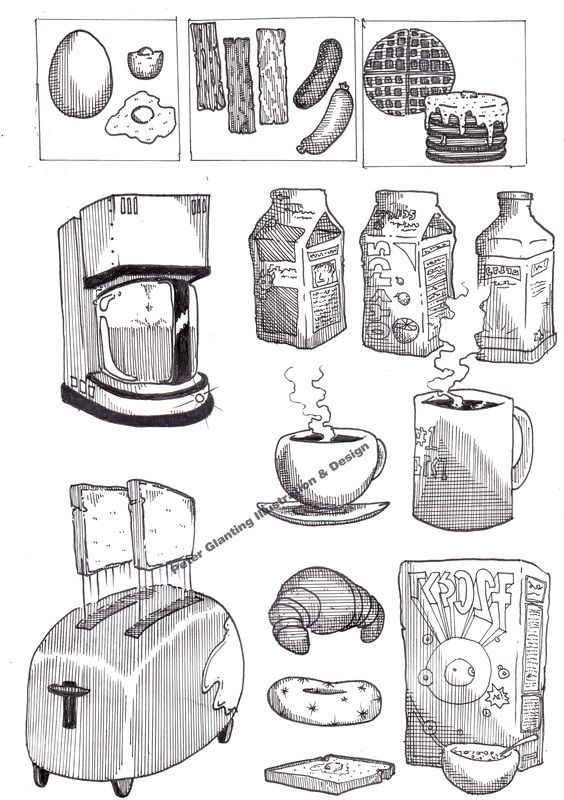 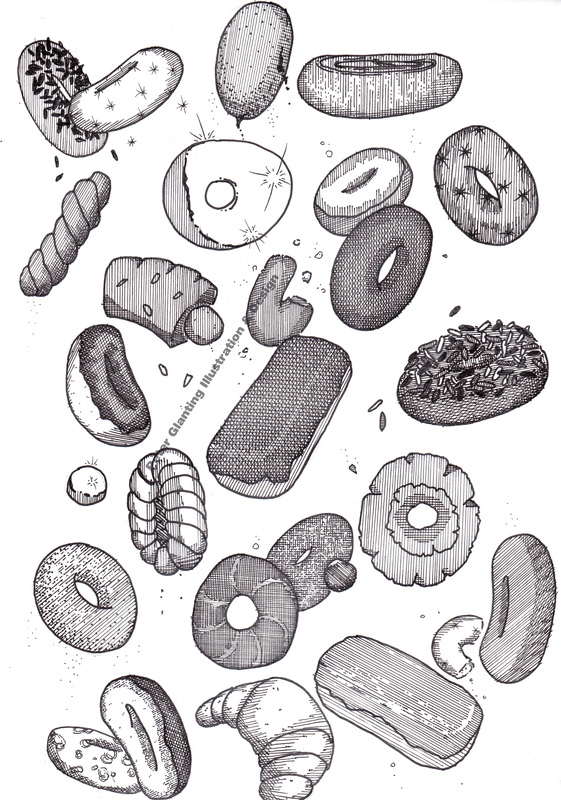 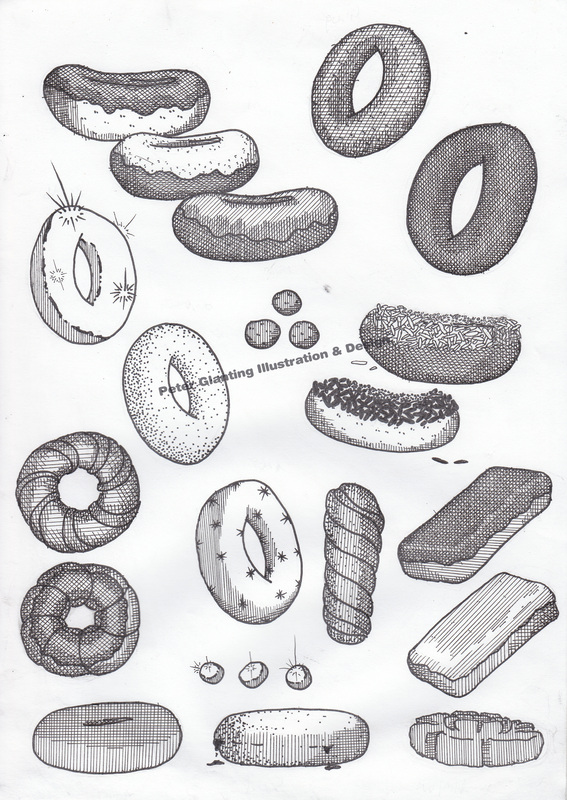 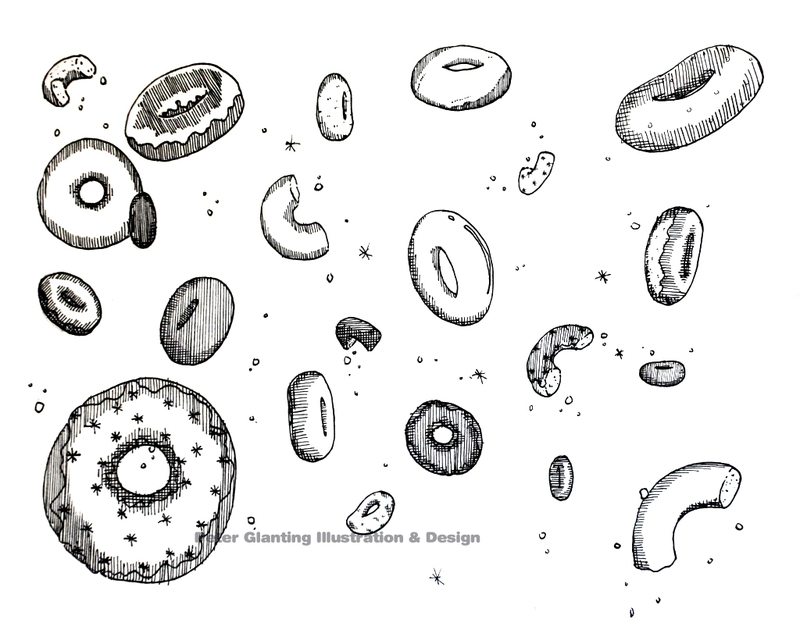 Below are drawings of donuts.